A human being comes into existence for a brief moment of say 50 or less productive years. And then we are gone. I think all of us should focus in leaving behind long lasting change that is positive and one that serves humanity well. Elevate the desire to do good. Our fathers and forefathers were heroes and they also made mistakes. This is 21st century, let us advance our thinking to match the incredible age that we live in. Ethiopia is designed only to for Amara comfort and convenience. Wherever they go, be it Oromia, Tigray, Ethiopian Somaliland, Sidama, Gurage, Hadiya, Welaita, they do live in amharic and amara culture; they don’t have to learn local languages, they don’t have to respect local cultures, they don’t have to keep the local traditional names of places but change them to Amharic names. No tribe disrespects Ethiopians as does Amara. What’s the anthropological significance of changing names of places and peoples to a new group? What’s also the political power significance of changing names of places and people? When do such phenomena manifest and why? Well said, it is incumbent on some Oromos to stop being spoilers with no purpose instead of joining Lemma and Abiy to build a prosperous and peaceful nation. If they continue dividing the country Oromos will suffer like the Somalis by ushering death and destruction to them and to the rest of the country. I call this foolish. Destabilizing the country for the purpose of destabilizing serves no purpose. Modern Ethiopia was built by Oromos, Amharas, Gurages, and others. It was Fitarari Habte Giorgis, an Oromo and a Gurage who conquered and subdued the south on behalf of Minilik. It was Giorgis and other Oromos who fought and defeated the fascist Italian invasion, giving Ethiopia a unique place in the history of Africa. From 1909 to 1927, Habte Giyorgis was Chief Minister (equivalent to the late title of Prime Minister) of the Council of Ministers to the Emperor of Ethiopia. He was an important figure in the Ethiopian Empire often cited for his great skills as military commander and judiciary. Simply, modern Ethiopia was built by blood and sweet of Oromos and other Ethiopians and it is better to reform it than destroy it. Indeed I agree with you. We can live together and so did our fathers. Thank you for your hard work on our current political situation. You fear for civil war between Oromos is little bit of unfounded at least on my opinion for the reasons that political Organizations are not Oromo’s entities to cause such serious drifts in Oromos. They’re things of Abyssinian/Ethiopian than they are Oromos. They will rise and fall without bringing any damages to Oromos unity . Our people’s unity is much stronger than their mischievous attempts to destroy us. We will be ok for Our bonding to one another’s is beyond politics,religions and regional differences. For upto these days it’s not that we have so many political parties is a problem but it’s that of no political parties our informal and traditional needs for each other’s is more meaningful than political parties. That is one way of looking at things. I have addressed this issue at length in the article. In my opinion underestimating the danger is a wishful thinking. I have also looked at some phenomenon that contribute to our vulnerabilities. One can refuse to look at these and wish everything is alright, or recognize them and work towards filling the gaps. It is a choice that we have to make. It is a good opinion. The analysis is also good. But one point regarding liberation. It would have been better if you indicate whether it is political and economical. Do Oromos control its resource? Do Oromos use its language freely for business transaction in Finfinne and elsewhere Neftegna’s garrison town and city,? Your ananlyis or assessment lacks # teamLeamma, the # OroMara frame worked which has been shaping the change we are witnessing right now. Who is the driver, Oro or Ama? Have you heard that they (Ama) are calming some parts of Oromia: Finfinne, Dreraa, the whole Selale? They have started calling Adama as Nazareth, Bushooftu as Debre Zit, Ambo as Hagre Hiwowt, etc… So are you sure that the libation is confirmed? Abiy Ahmed is also claimed as their own by the most extreme Amara nationalists such as Prof. Almariam. Just look at his articles on Abiy. Abdisa, let us worry about people instead of land. Let the people live and work anywhere they want like in the West, otherwise, we will be subjected to an apartheid system of the Africaners. For example, the Gurages claim that they were pushed out of Addis or Sebeta by Oromos and later by Minilik. Or who knows who was there before the Gurages came or the Oromos came to the area. If start talking about land claims, it is like the Red Indians in the West, where do we go. Keep fighting. With urbanization and technology, people can live anywhere and work. So let us advance our economy and technology, as most people will start living in urban areas in no distant future. Land is of little consequence compared to human capital that we should develop if we want to catch up with the rest of the world. When I said we are liberated, I made it clear that this is in connection with national liberation struggle, i.e., liberation from outside occupation. Similar issues always arise even in countries that acquire national liberation from colonization. “Are they liberated because the economy is still controlled by former colonizers?” “Are they liberated because they get their cue and influence from their former colonizers?” “are they liberated because their dependence never stopped?” Such and similar questions always arise. It was because of such issues that new terms like “neocolonialism” came into existence. In my article I was not dealing in detail about such issues. I used the term in a very narrow and specific sense. Oromia is liberated because it is not controlled by any alien force. I also talked how n still vestiges of dominance and occupation remained. Everything will not be achieved overnight. 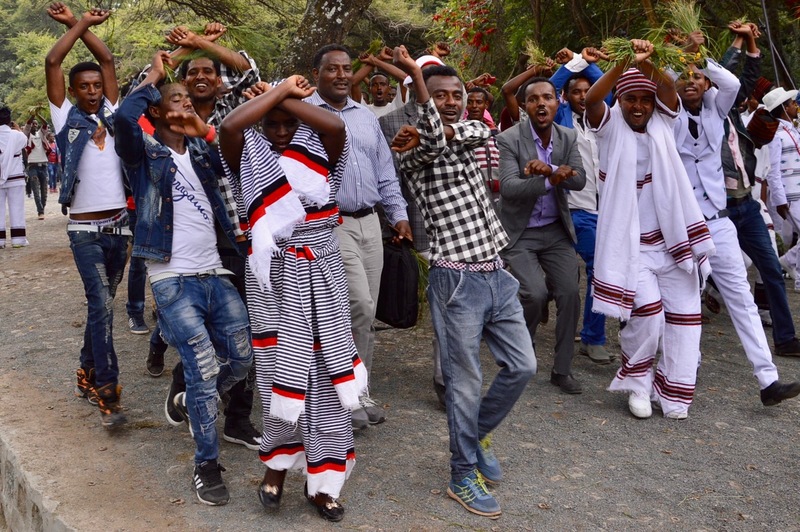 Those things you mentioned about forces claiming part of Oromia, etc., are mentioned in the article in around about way as some of the dangers the transition is facing and why Oromo need to unite as a result. 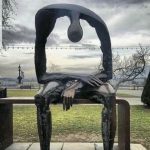 This is a superb piece if only we have the guts to swallow the bitter truth. Thanks obbo Olaana.